📅 September 2015 February 16, 2017 by Bruno B. 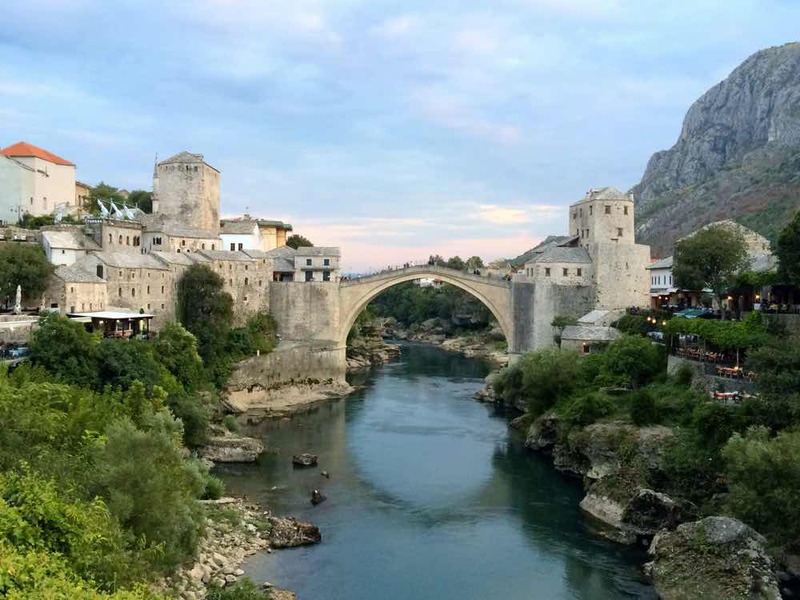 Even though we had a tight schedule for our travels in Croatia, we squeezed a day trip to Mostar, adding a different city and country to our itinerary. I now think Mostar is a great idea for everyone coming from Dubrovnik or visiting the Balkan region. In fact, this is a place you’ll never forget. Here are some reasons why! I think it’s appropriate to start with the most obvious iconic landmark of Mostar and probably from the entire Bosnia & Herzegovina: the Stari Most (Old Bridge). 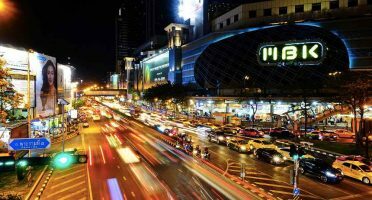 It’s the beating heart of the city for sure, a strong iconic symbol of its history and the main reason that led us there. Still can’t believe this was taken with my iPhone. I felt like a child given candy when I got to see the bridge for the first time. It’s beautiful and charismatic. Still, what surprised me the most was the scenery of the valley around it. 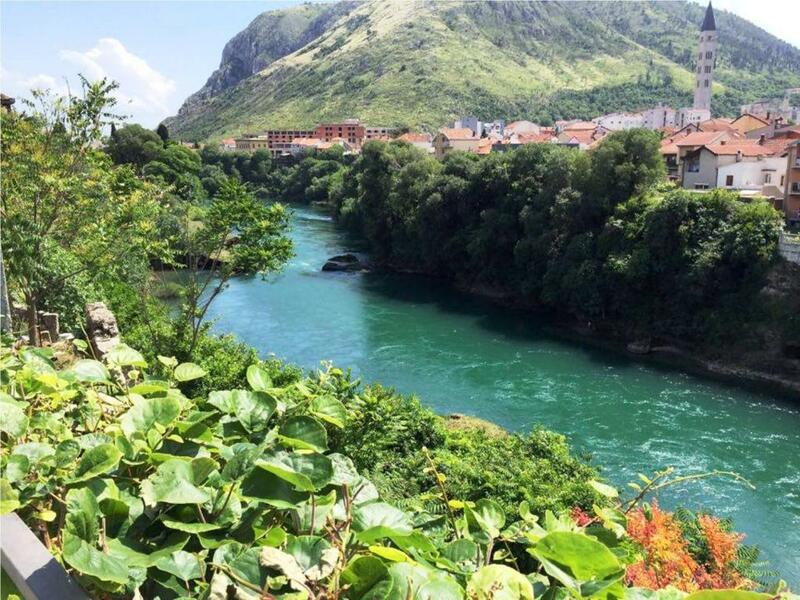 The 50 shades of green from the surrounding mountains and from the Neretva river create a stunning setting by itself. Put one of the most simple and elegant bridge designs ever and voilà, you have a true postcard scenery in front of you! 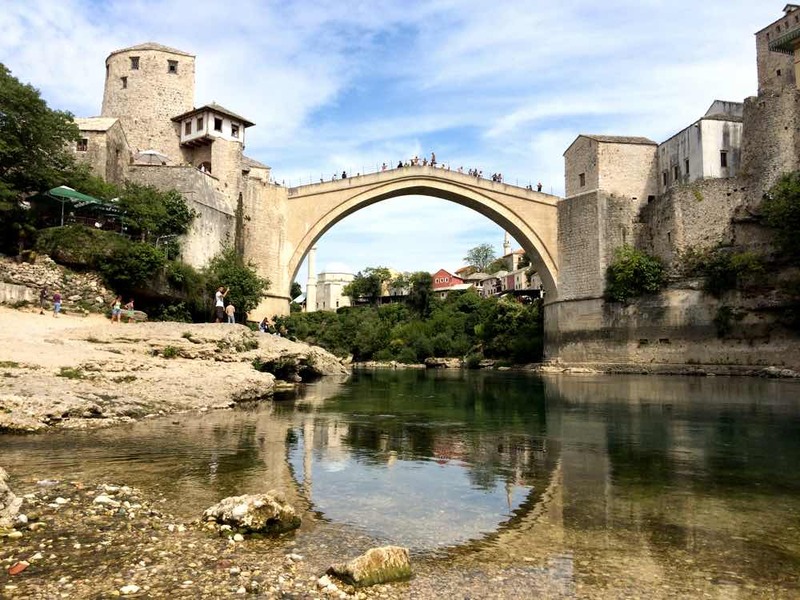 When Stari Most was built back in the 16th century during the Ottoman Empire, the single-stone arch span was considered a major technological advance. It lasted until 1993, when it was destroyed during the Yugoslav wars. After years of reconstruction, its rebuilt works were finally finished in 2004. Today it’s a UNESCO World Heritage Site (one more for my list, woo-hoo!) and a symbol of unity for an ethnically divided city. At least that’s what I like to think anyway. Stari Most seen from the Neretva river bank. – Do not jump off the bridge! You’re probably thinking the same thing as I did: why the hell would I jump from a 30m high bridge?! Well, Stari Most has a long history of being used a diving platform both by locals and tourists. One of the Red Bull Cliff Diving World Series stages takes place here. Crazy people! Making your way across the bridge with flip-flops will make you look like a fool: the surface of the bridge is steep and VERY slippery. Make sure you use some more robust footwear instead. Don’t miss the biggest photo opportunity. 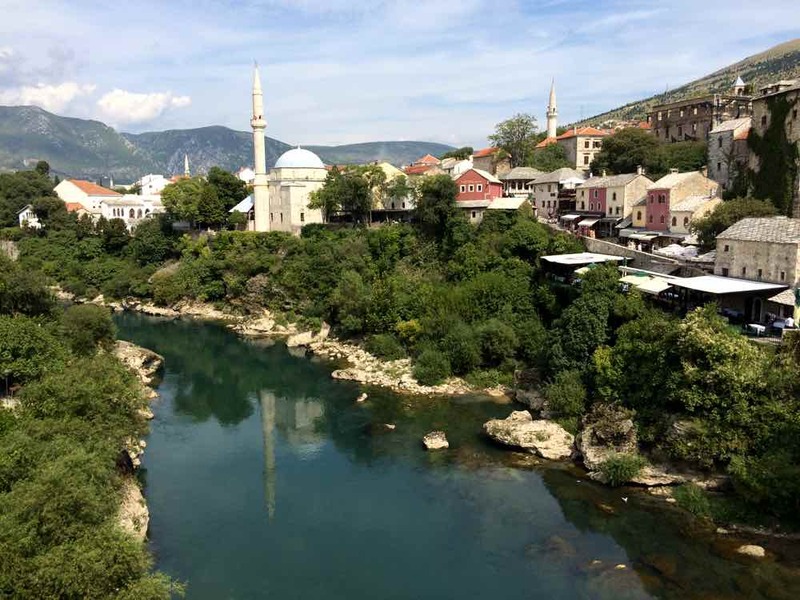 For the best 360º views of Stari Most, head to Koskin-Mehmed Pasha’s Mosque. You’ll need to pay to climb up the minaret, but your camera roll will be enriched. DO NOT ATTEMPT TO DIVE YOURSELF FROM THE BRIDGE. Like we were told by locals, the water is chilly, the current is extremely strong and the river is not actually that deep. 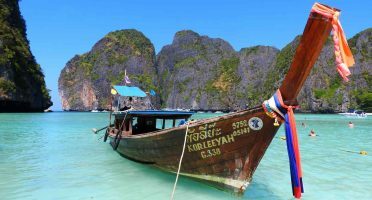 Many people have died or got seriously injured attempting to dive. If you still are up for it, first of all, you’re crazy. Secondly, you can receive “training” from locals for about 20-25EUR that will teach you the basics of Stari Most diving. Nevertheless, they manage to be extremely nice people. Meliha, the owner of the awesome apartment we stayed in, welcomed us with a big bowl of fruit and croissants (! ), joined us to find a safe place to park the car and gave us a loooong explanation of where to go in town as well as some insider tips. I don’t remember having such a friendly and smiley host on my travels. Even though sometimes the communication was made in a dodgy English, in general the customer service in restaurants, cafés and bars was great. 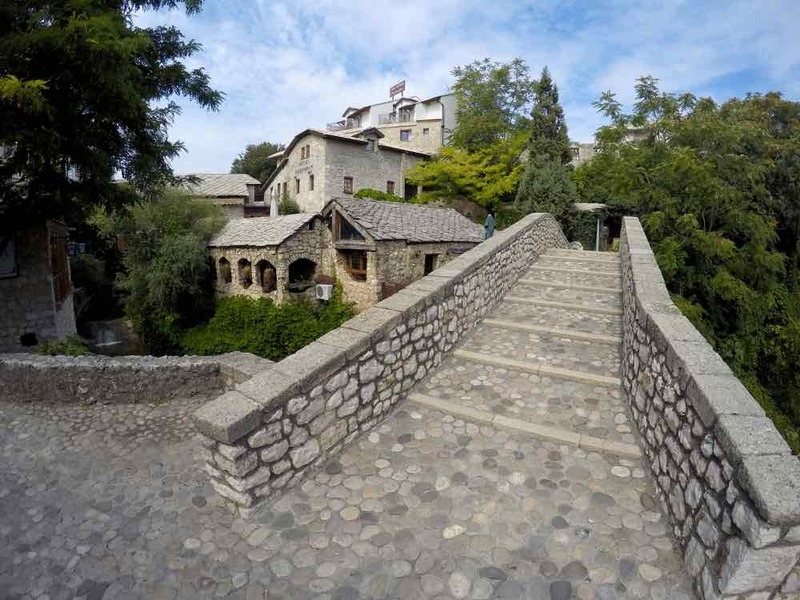 Walking through the small old town of Mostar is an interesting journey. 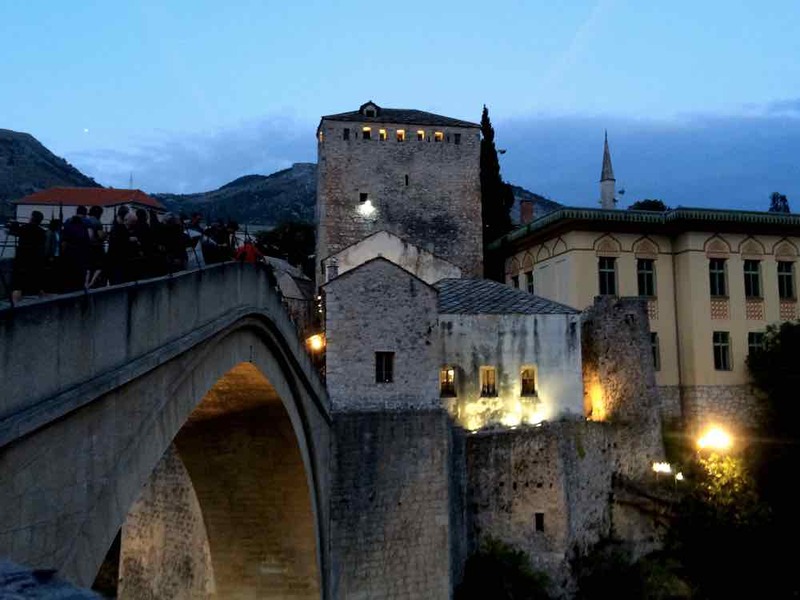 Mostar actually lies at a crossroad of religions, with Muslim Bosniaks (roughly 40% of the population) living in harmony with Catholics and Orthodox Serbs. The Ottoman influence is evident: the smell of shisha, turkish cafés/restaurants and even the alleys of Kujundziluk bazaar selling all kinds of metalwork, clothes and jewelry. 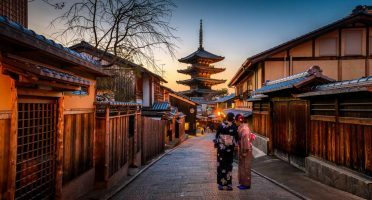 Then are some western medieval trademarks like the charming Shire-like houses with wooden balconies, adorned by the round black and white pebbles of the streets and walls. A set of Lord Of The Rings. You can feel a religious tension (competition?) in the buildings and symbols across the city. While most of the skyline is dominated by minarets, the tallest structures in town are the new Catholic church and the huge white cross in the hilltop across the river. This clash of western and eastern worlds I’ve only experienced in Istanbul before, is one of the most interesting features of the city. At this point I started realising Mostar couldn’t simply be a cute town with a cute bridge. The town is so tiny that towards the middle of our Mostar daytrip, we had walked around the old town at least a couple of times already. With still a couple more hours to spare, we decided to took a stroll outside of the Old Historical Center of Mostar. 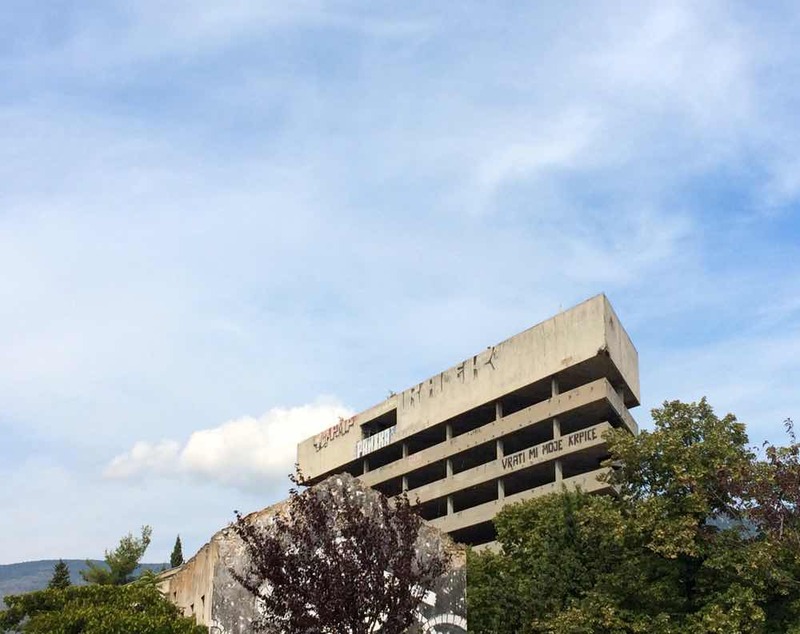 Stara Gimnazija, one of the rare new-looking buildings in Mostar. 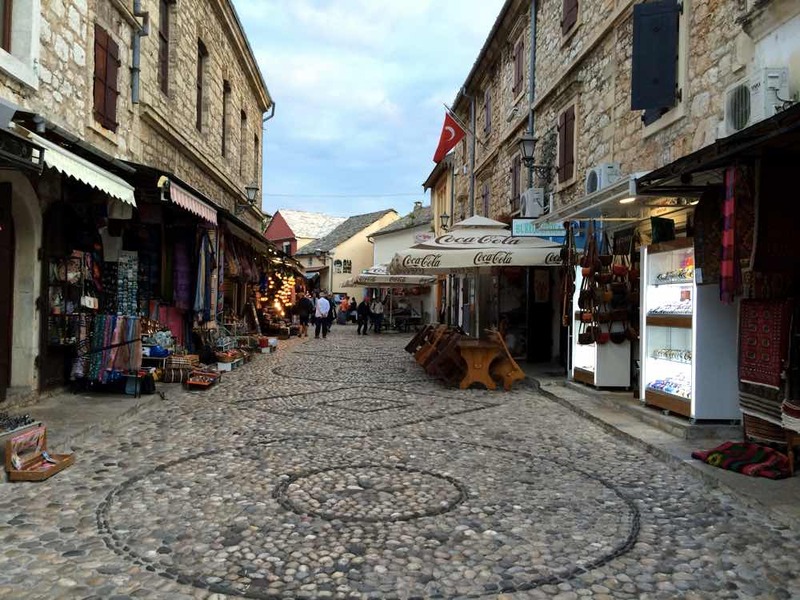 Curiously, Mostar old town actually feels like the newest part of the city. The evidence of the war toll thrives until today. The amount of crumbling buildings is impressive. I’ve never seen/noticed marks of bullets in buildings and here is impossible not to. It’s quite a visually impactful experience. Specially the Sniper Tower in the frontline of the Bosnian war. This building was used as a base for snipers to take aim at their targets below and is still there, decorated with street art and completely up for exploration. If you are going inside, make sure you’re wearing sneakers as I could peek a lot of debris on the ground. Another chilling curiosity: I found an astonishing number of cemeteries within the city center. Many of the plates have the year 1993/4/5. This walk was definitely a high of the trip, in the sense it shed a different light on the humanity of the Bosnian people. I started looking at the people with different eyes and noticing how the stories from locals ended up mentioning the war one way or another. Everyone was directly affected or at least had a family member affected. 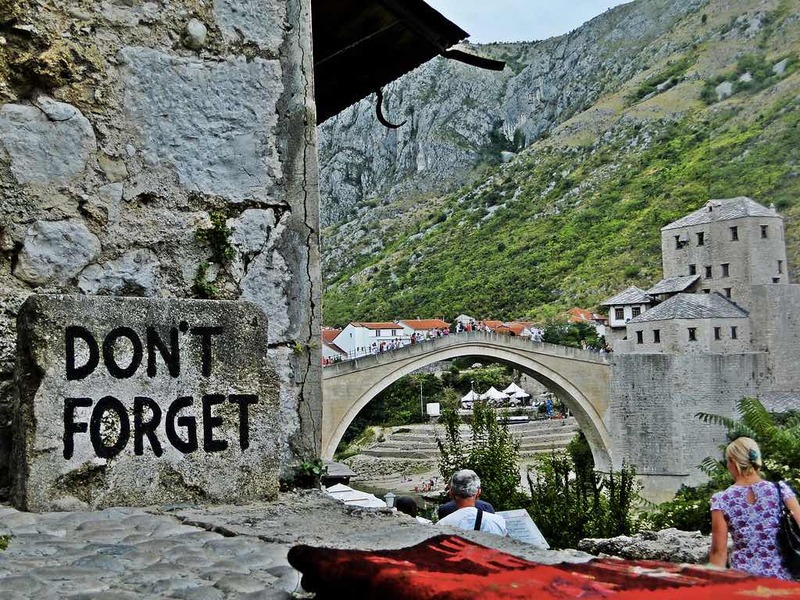 I got the feeling Bosnia & Herzegovina has still a lot to do to recover from their violent past. After all, it’s not only the buildings that were destroyed. No matter how large my travel budget is, this will always be a great reason to visit a place. And Mostar, like the whole Bosnia & Herzegovina, is quite cheap, even comparing to its neighbour Croatia. In other words, it is for budget travellers. We had a meat dinner feast in Sadrvan for the equivalent of 6 euros per person. Seriously, I after that I couldn’t eat meat for DAYS. My vegetarian lunch menu in the following day was the same price. Our modern apartment for 4 was only 55 euros/night and had this view. 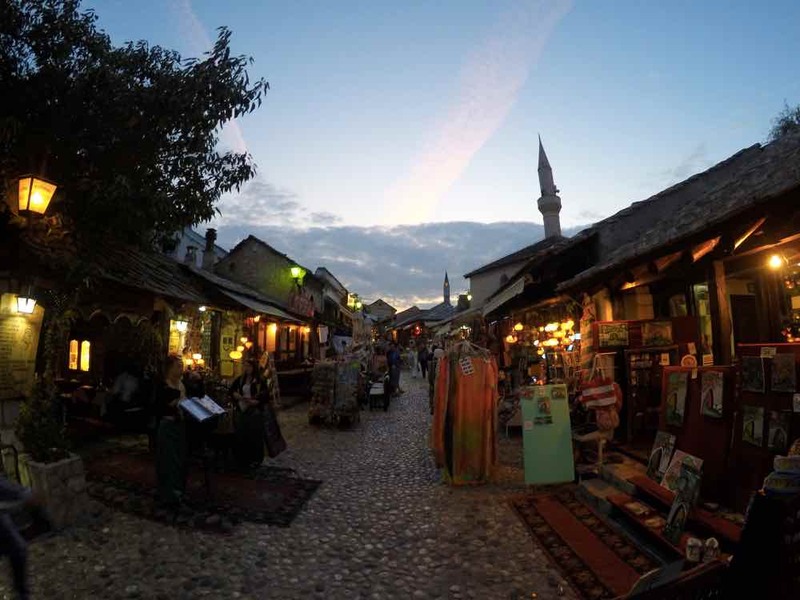 Mostar is located just inland from the Adriatic coast. 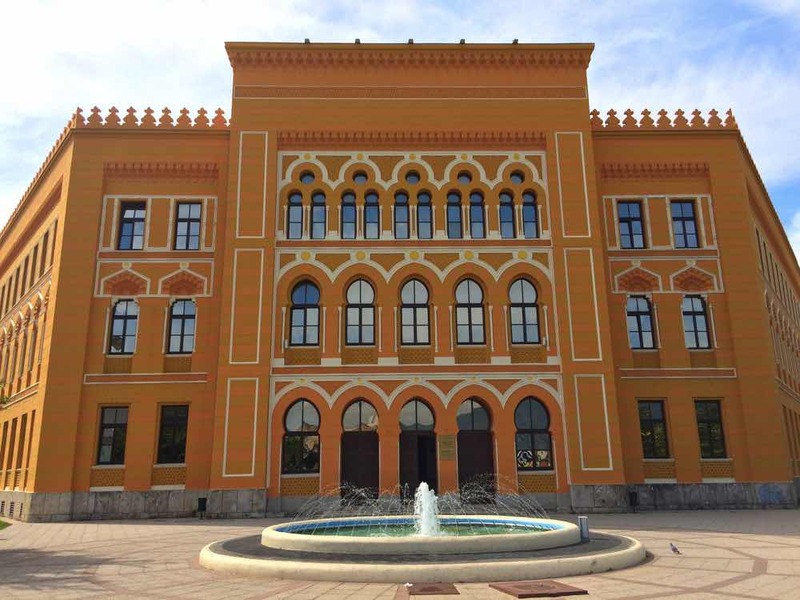 It’s the cultural capital of the Herzegovina region, in the southeast part of Bosnia & Herzegovina. Even though it has an international airport, with most of its direct flights to Croatia and Italy, the best way to get to Mostar is by road. If you’re coming from Croatia, take the highway 62, just a bit up the Makarska riviera. Additionally, buses run daily in summer months mostly from Dubrovnik (check schedules here), but also from Split and Makarska, at least. I’m sure you can find buses from Montenegro and Serbia as well. When I was looking for accommodation in Mostar, I realised how easy is to find high-end apartments, hostels and guesthouses at laughable prices. I’ve ended up applying more search filters than I usually do in Booking.com: wifi included, terrace with a view, centrally-located and with 9+ review score. It was still less than 12EUR per person. You can use this exact same search query using this link. Our final choice was Elite GuestHouse. The score of 9.9 out of 10 in Booking (!) is not a coincidence. It’s a clean, spacious apartment with this awesome view. Meliha, the host, will make sure you’ll have a great stay! 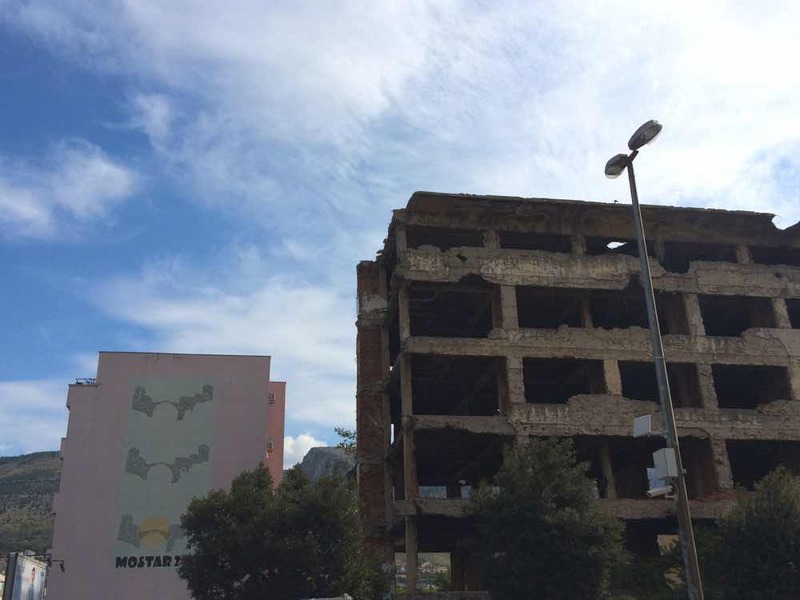 To give a bit of context, Mostar was a detour from our Croatia road trip. We came from Makarska, arriving by 5 PM and went to Dubrovnik the following day at the same time. A full day is more than enough to explore the city, unless you need more time to visit the mosques/churches in detail. Obviously the Stari Most. I also really recommend a walk farther out of the old town to the war frontline. 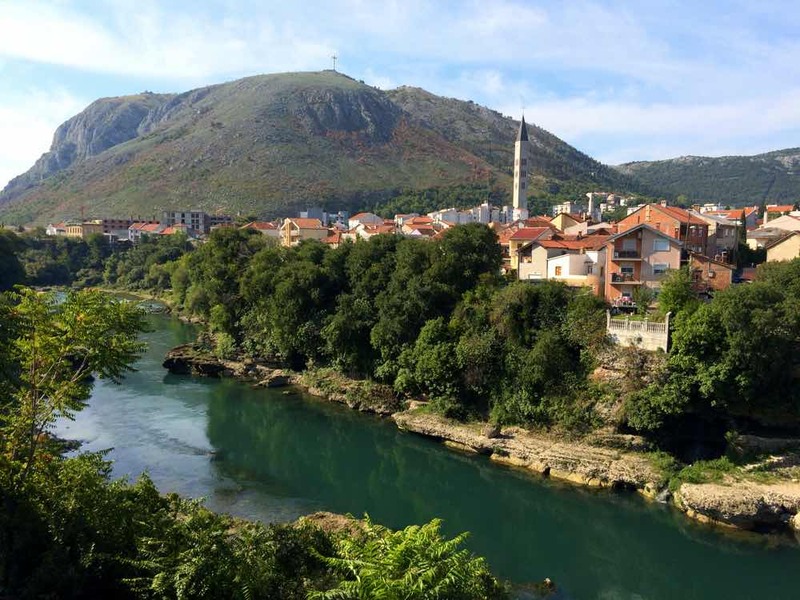 It’s a completely different setting that will make you look at Mostar with other eyes. The official currency in Bosnia is Bosnian Convertible Marks (BAM). However, in most places you can pay with euros as long as you agree to their very decent own conversion rate (1 Euro = 2 Bosnian Marks). You usually can pay in croatian kunas too. We only had 24 hours in Mostar and couldn’t go anywhere else. If you do have more time, look into visiting the medieval town of Pocitelj , the holy site of Blagag Tekke or my favorite: the Kravice waterfalls. If we hadn’t gone for the Krka waterfalls in Croatia, we would definitely visit them! I was expecting to “simply” see a quaint little bridge with some cool medieval streets around. And I would genuinely be happy with it. Perhaps the biggest takeaway I’ve taken from Mostar is that melting pots can be everywhere. I’ve always associated mixing cultures and ethnicities only that a concept for big metropolis like Istanbul, New York or London. Turns out Mostar is a melting pot too. A small, but very noticeable one. After the mad beauty of landscapes and experiences in Dalmatian coast, this reality check actually felt good. Lying in a sweet balance of past and present, joy and sorrow, Mostar turned out to be a deepest and richest travel experience of my year. The “Don’t Forget” street art signs everywhere around also made its point. I won’t. Photo by Lluc Ulldemolins @ Flickr. All values are per person. For overall cost multiply per 4 (number of persons in this trip). What was your most impactful trip of the year so far?